The 2018 Vinnies CEO Sleepout will be held on Thursday 21 June. 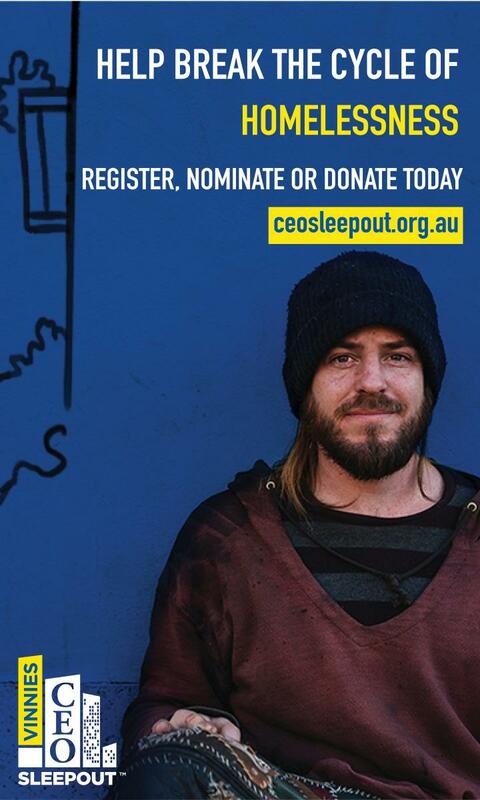 To nominate your CEO or if you are a CEO wanting to register your interest please visit ceosleepout.org.au. There are also local sponsorship opportunities available for the CEO Sleepout in WA. Contact Vinnies on (08) 6323 7500 or partnerships@svdpwa.org.au.